We are one the leadingLeather Throw Pillows. 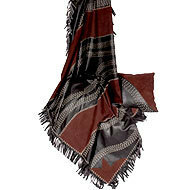 An elegant pattern is used for making these throws with fringes. They are available with matching cushions. We are offering Throw Pillow to our clients. We have gained a huge popularity in the market creating Colorful Throw Pillow that is cozy in designs. With an objective to fulfill the ever evolving demands of our clients, we are engaged in offering a wide assortment of Designer Stool Pillow. 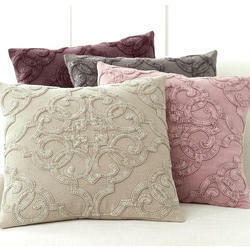 To retain goodwill in the market, we are supplying best array of Embroidered Throw Pillows. These Pillows are quality assured and fabricated by our vendors. Our vendors are qualified and skills. They are available in many specifications. They are stylish and very sleek. They are quality assured and cost effective at rates.